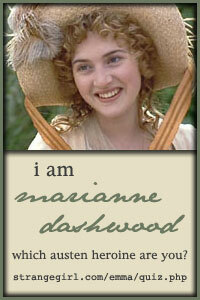 An adaptation of Elizabeth Gaskell’s novel with the same name. I love Elizabeth Gaskell and everything she wrote is pretty cool. “Wives and daughters” is one of my favorites and it certainly has a delightful something that North&South lacks.It’s…(I hate using quotes) the magic of ordinary days and little things that make us happy. Here we have the 19th century through the eyes of women.Lacking activity,being obedient,loving and waiting because…well,they were women in the 19th century. I was sort of touched by the finesse of the movie.The characters seem kind of ethereal,especially Molly with her goodness and delicacy.The same with miss Matty from Cranford. Elizabeth Gaskell had a flair for describing that kind of women that are almost like beings from out of this world. The W&D miniseries feature Justine Waddell who also played Estella in “Great Expectations” and Tess Durbeyfield in “Tess of the D’Urbervilles”. The movie is lovely:not very complex,light,sometimes funny,sometimes sad,innocently serious and of great sensibility. That’s the thing with these british novel adaptations,isn’t it?They’re all so sensible(except for the Thomas Hardy ones but I don’t really dig those). I had the intention of naming my favorite moments in the movie,but I can’t think of any even though right now I can’t think of a movie I’d like to rewatch more.I guess this movie stuck with me more not because of remarcable moments,but because of the impression it left me with. Cynthia is interesting and cool and not the kind of person that should live in a small village.I’d’ve loved to meet her,we would’ve been friends. Molly is like the perfect 19th century girl.She has no flaws.She’s discreet and doesn’t stand out,yet she is remarcably intelligent, obedient yet independent in thought and with rare bursts of passion. Oh,she is so flawless,I can’t want to be her. I didn’t get to like Osborne,I think the actor may have done a less than good job,’cause at times I thought he was creepy or something close to creepy,like cheesy,while I don’t think that was the intention. As for Roger,oh,maybe they don’t make guys like that anymore.And even if they do,I don’t think one of those would be a good match for me. I actually liked mr Preston.Of course,the heart goes to the main characters,that’s what the director wants,but,oh well,he wasn’t exactly the vilain,he was just the unwanted. Other interesting characters are squire Hamley and Hyacinth.Oh,I just realised what the best moment in the movie was,it was the squire’s way of telling the doctor that his new wife is ridiculous,”I’m not saying she was very silly,but one of us was silly and it wasn’t me”.HA! Squire Hamley was perfectly pictured by sir Michael Gambon. Lovely movie.I think it’s a little underrated though,it’s not as appreciated as it should be.BBC makes great movies,it’s a pitty they don’t make more. Oscar Wilde was a genius! as we all know.An Ideal Husband is not his best work,his best work is The Importance Of Being Ernest,but AIH is a pretty good second. The point of the story is that we are all humans,make mistakes.Nobody is perfect and one should love people with their defects included and even love them for their defects.There is no such thing as an ideal husband and no one should live under the pressure of trying to preserve the image of perfection. The dialogue is very much the same as in the play… as in it doesn’t deviate from the point,but it’s adapted,placed in other settings and order.But that’s not a problem at all,I actually admired the creativity and resourcefulness of whoever made this movie. For example,in the play,the scenery doesn’t change much.We are at the Chiltern’s,at Goring and then back at the Chiltern’s.It’s dull,but practical if you’re at the theatre.However,in the movie,Lady Chiltern encounters mrs Cheveley while riding,all the characters go to the theatre to see “The importance of being ernest” and you actually can hear the ending line “Not at all,aunt.I only just understood the importance of being ernest” or something like that,after which Oscar Wilde comes out from behind the curtain and salutes the audience.It’s brilliant.People in an Oscar Wilde play watching an Oscar Wilde play.And there’s a lot more other inventive modifications that do not in any way alter the play,but improve it.I think Oscar Wilde wouldn’t have minded a bit. I appreciated the fact that mrs Cheveley’s character is modified too.She is not accused of stealing,nor does lord Goring have to steal the letter from her.She gives it to him willingly after hearing Robert’s honorable speech.She acknowledges defeat very gracefully.I liked mrs Cheveley very much in this adaptation.She has scrupules,but you can still hate her.She’s manipulative,but you’ve got to like her.I also thought Julianne Moore was a great choice for this new,improved character.It actually proves Oscar Wilde’s point.People aren’t all black and white,good and bad.Good people have done bad things and bad people have done good things. Other stuff to mention…Cate Blanchett is gorgeous,Rupert Everett is so lovable with his distinguished detachment and Minnie Driver is perfect to be Mabel…childish, beautiful, picky, witty and funny. Oh,I feel I haven’t said enough about Cate Blanchett.Well,she’s amazing! I’ve been really busy these last few days and I really had no time for myself,so I haven’t seen much of nothing really except if it’s a cleaning tool. I did however watch “Vanity fair” one night when I was tired,unpicky and I couldn’t find the remote so I stuck with what was running on the national television. VANITY FAIR 2004 with Reese Witherspoon, Jonathan Rhys Meyers(my…his name is hard to spell) and Romola Garai. The distribution was great.Reese W. makes a lovable…(although perhaps too lovable and utterly unhateable Becky Sharp).The reason I initially didn’t want to watch this movie was her.She’s usually too thin and too blonde.None were the case here.She was pregnant appearantly and her hair had a bit of a darker reddish tone.So once I was past her physical aspect I found she can actually act(Oh come on,that’s just mean) and I liked her.Believable,lovable and mercantile Becky . Anyway,I guess I wasn’t tired enough bcoz it annoyed me that I couldn’t see her cold rational mind games.They only showed me feelings.Lots of feelings.Not excessively for a random movie,but we’re talking about Vanity Fair.Feelings is exactly what this girl is supposed to have in very little quantity. I wanted to see the wicked Becky and they show me the lovable Becky.*sigh*. Romola Garai was wonderful as Amelia,she pictured her perfectly…but then again Romola Garai can play any part perfectly.Sadly we don’t really get her entire story due to time restrictions(they should’ve made a miniseries) but her you truly understand exactly as Thackeray wanted her to be understood.Dobbin and Cpt Crawley,on the other hand,are mismatched.Wrong Wrong Wrong. They’re wroooong for the part.I hate them. The plotline doesn’t go by the book much…it would be impossible to fit that big a book in 2 hours. Jonathan R.M. was,of course,as usually,great as Osborne. Whoever wrote the script and whoever approved it and whoever considered it good enough to be financed should be beaten at the bear gluteus maximus in a public market.Why?Because it turnsVanity Fair into a 1930s drama with a hint of whore house. Steyne wants more from Becky…a whole lot more than in the book.He wants her virtue and Becky is hurt.She doesn’t want anything.She only wants to give him everything back and she wishes she never met him…or so we are led to believe(judging by acting,lights…ya know,nonverbal means of communication). And they also have a previous bond->he has a painting of her when she was a child. The funny part was the dancing(was the king present?…no one noticed,we were all too shocked by the Everything the ladies were doin’ to observe his royal highness). Honestly!! !We’re supposed to be in the 1870 or something and the distinguished ladies have the hips in plain public view.What can we do?How are we to not criticize when we are given such food ;)) ? The best bit was after the ladies are done dancing and the king flirts with Becky a lil bit,demanding that she is seated next to him.A baroness(or something) dressed as a belly dancer, makes an objection and the king looks at her for a second.Sorry,I just can’t take you seriously when you’re wearing that. Ok,that line was only in my head. Overall(wow,I DO criticize a lot! ),I kinda liked it.Please take notice that I did hesitate when I said that.Imagine it this way:-I…kiiiiinda liked it…hmmm.Nope. There you go.It’s an adaptation for the young minds or for the unread ones.I guess it means to make the story understandable for teens who can’t conceive the 19th century ways. ps.I am really really enormously tired. I watched “The young Victoria” and I didn’t love it. The movie is about three or four years of Victoria’s inactive life from before and after she was queen and her relationship with cousin Alfred,whom she married. Historically it was pretty accurate. The happenings,the politics,the characters flow naturally and historically. The king’s insulting speech towards Victoria’s mother is about 2/3 exactly what he said.Also the part where Conroy is trying to make Victoria sign the regency agreement while she’s sick and she throws it on the floor,is true. Alfred,however,was never shot in an attempt of murder towards the queen.According to wikipedia,this annoyed the queen. What annoyed me was that I couldn’t find something I loved about this movie. I don’t understand why Victoria and Albert liked each other.I didn’t like them as a couple and I couldn’t like them as individuals.Victoria seemed dizzy,silly.She was actually downright stupid holding her husband as a visitor,not bestowing obligations on him,trusting Melbourne more than him,needing Melbourne’s approval to share her work with Albert and considering that he is nothing more than her husband. If this was really Victoria,I despise her. As for Albert…for a long part of the movie he doesn’t show much personality and occasionally reminded me of a child lacking love.Towards the end he starts to show some guts and just when I was beginning to like him,he got shot in a murder attempt.Well that ruined it for me and in conclusion I hated this movie,I thought Victoria was stupid and Albert was bland. As for the ending…I didn’t get it.After 20 years,when she was 40,Victoria still looked slim as Emily Blunt and pretty as an 18 year old girl. Honestly,I never disliked a movie so much.I even hate the poster.I think the poster is dumb. I hated the scene when Albert and Victoria dance.It was dumb.She slided to the middle of the room as if she was on rollerskates.Dumb! Another great period drama is “North and South” 2004 produced by BBC.This is actually my second favorite drama of all times. It’s an adaptation of the novel with the same name by Elizabeth Gaskell written in 1855,some 4 decades after Jane Austen wrote P&P.The two books are very much alike because you have the intelligent, educated, witty,outspoken, poor young woman and the rich,proud,handsome man who is inlove with her.He proposes,she refuses and the rest is history. I’ts soo good I still get the tingles just thinking about this story :). The problem with the movie is that you know from minute 12 exactly how it’s going to end.However,the wait is worth 4 hours because the actors deliver the story beautifully and the story itself is beautiful.Since we can’t stop saying the word “beautiful” we might as well remind everybody that Richard Armitage is beautiful (and so is Daniela Denby-Ashe but we don’t care for her,we’re girls). The main line of the plot is P&P much,the two main characters learn to change for each other but there’s much more to the story than that.You can feel the 4 decades difference because in N&S you actually get to the drama while P&P is more of a light comedy.The drama you get is caused by the industrial era,the change of status in the pleabean’s life.The peasant is no longer a peasant but an industrial worker,he is much more poor and he depends not on earth to get food from but on a factory and a master who may not be just.Also,there is danger for the worker in the factory.The potential danger is fire,a constant potential danger,but the greatest danger,the danger the worker feels,is his failing health due to bad working conditions. So this is not only a love story,it also asks big questions about the condition of the not important people,the people nobody talked about in the mid 19th century. The story and the characters are believable,you can see the passion,the pain,you really can cut the tension with the knife.There’s death, disease, murder, honor, sacrifice, love, hate, passion,money…it’s a must-see. I cannot explain how good the movie is,I can just tell you that only the 1995 “Pride and Prejudice” beats it in my charts and mention that it’s one of the very few exceptions of “movie being better than the book”. Tommy insists we do the thumbs up-down thing,but it’s pointless.We liked everything and disliked nothing except for Margaret’s other suitor(but you have to dislike him,that’s his character).No more spoilers here. The last period drama I’ve watched was „Little Dorrit” 2008 which is an adaptation of the novel with the same name by Charles Dickens. The movie is actually a tele serial,with a one hour opening episode,12 half hour episodes and a one hour finale. The story revolves around Amy Dorrit who was born and grew up in the Marshalsea prison,the debtor’s prison,becomes rich,turns poor again and then gets married to the man she loves and he will provide for her. The movie stuck to the novel and it introduces you to a typical Charles Dickens universe, with characters from all levels of society,with real problems,not the light kind of problems,but with mistery,injustice,cruelty and extremely cruel characters;On the opposite end we find the extremely kind characters who have come to be so thoughtful by experiencing great dramas. Also,and this is what you must love about Dickens,there are the characters who seem wicked and turn out to be the good ones and characters who seem to be the good ones and turn out to be the bad ones. The two main characters,Arthur Clenham and Amy Dorrit are very selfless and not interested in possessing money but the plotline is very much about money and how not having money or having too much money can bring moral ruin. There are more conclusions here I think. Firstly,speculation is bad and it is not an honorable way to make money since somewhere,someone is losing the money you are wining. Secondly,people shouldn’t put much stock in money since they come and go as they please. And thirdly,the only thing of real importance is kindness and love. 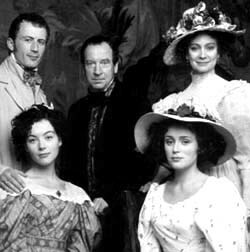 So you see,”Little Dorrit” is the typical Dickens drama. I give the movie thumbs up for sticking to the novel.After all it’s the author’s work and we must respect his vision.Also,thumbs up for image,costumes,acting(I don’t really like Mathew Macfadyen since he starred in the most horrid P&P version ever with Keira,but he was pretty good as Arthur Clenham and Claire Foy was a revelation,I want to see more of her),for credibility and for the sense of proportions. What I really appreciated was that not everybody got a happy ending and I’m not only referring to the bad characters,but good characters also have relatively unhappy endings because everybody must live with the consequences of their actions. In the end(this does sound vague but…) the movie is just plain sensible,it irks with common sense and it’s worth watching. Unfortunately I’ve got lots of thumbs down.My sister says it’s actually only Dickens’s fault because I am cold as I am and no as tickleish as the next fellow while Dickens is a sensitive guy. I guess the good characters are overreactedly kind. Can’t they do anything mean?Or at least something that can make them individuals?They’re all kind and good for 8 long hours and say only nice things even when people treat them like dirt. I like less sensitive characters. Another thumb down goes to the length of the movie.The subplots are too developed and they tend to get boring at times. Overall it’s a good period drama to watch,not even closely in my top of favorites,but it’s a grand movie and definetly the kind I’ll have my children watch instead of those weird cartoons they put on tv lately.